Docqtech Solutions is giving one box of Mondi Rotatrim paper (5 reams / 2500 pages) for every referral received from a BNI member which results in a print audit done at your client. 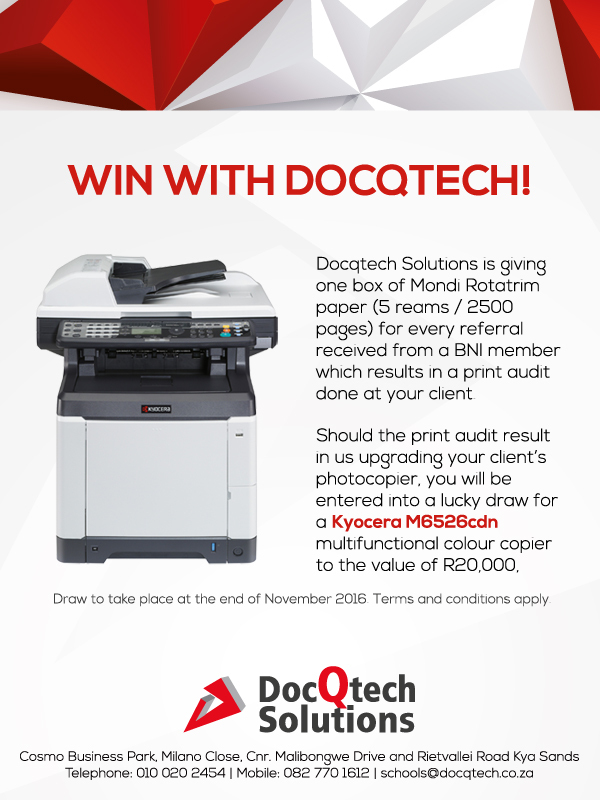 Should the print audit result in us upgrading your client’s photocopier, you will be entered into a lucky draw for a Kyocera M6526cdn multifunctional colour copier to the value of R20,000. Draw to take place at the end of November 2016. Terms and conditions apply.